Laugh your way to a balanced life with this awesome introduction to The ManCode! This DVD captures a powerful men’s event that took place in NW Arkansas. 1,200 men laughter their way into The ManCode! 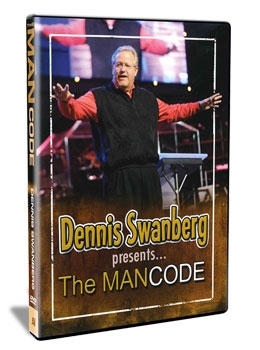 Author, humorist, and former pastor Dr. Dennis Swanberg shares impersonations, stories and biblical teaching with men seeking balance in their life! So gather your family and friends together and experience a great introduction to The ManCode! My Dad, softball player and soldier...one of the best! 10 years of "Higher Education!" Finding me a "Cowtown Girl"
Guys, don't send those ladies to a Woman's Conference!